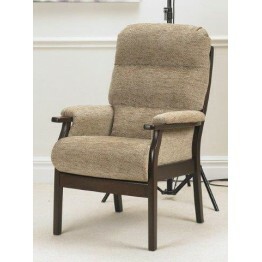 For a stand alone posture chair or fireside chair this Cumbria model from Cintique is extremely good. It has the Cintique steel banded cross spring system to support the seat area, while the back cushion has a double seam to create a lumbar support and neck cushion area. Some many fabrics you can chose from and also a wealth of different wood colours on the frame work. Free delivery across mainland England and Wales as usual and lead times from these chairs is around 4 - 6 weeks. 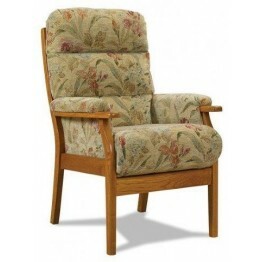 Cintique Cumbria Chair, available in a wide choice of fabrics and also different wood shades.We have..